※The portion which the following is redder than a management screen and it has enclosed is used for a setup. A change of a server is needed. 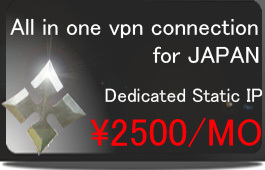 Please check that "Cisco IPSec" will be chosen. 2,From the setting screen tap "General". 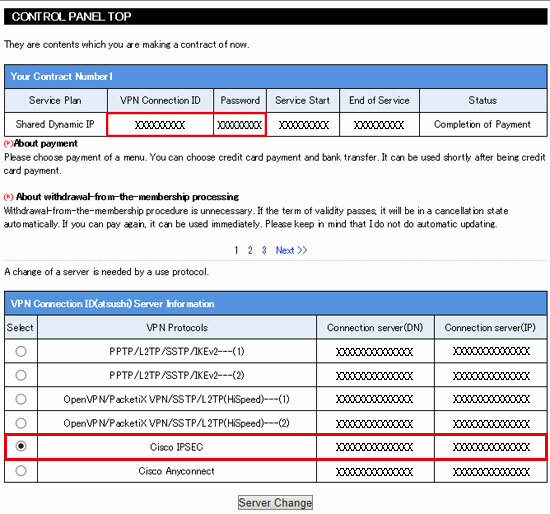 4,"Type" is "IPSec", "Description" is "Any Name", "Server" is either a connection server (DN) or a connection server (IP) described in the management screen, and "Account" "Password" Enter the VPN connection ID and connection password described in the management screen. (Please refer to the top of this page for the management screen). 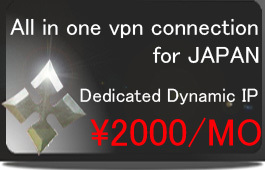 Please enter "ipsecgroup" for "group name" and "ninja" for "secret". "Proxy" is set by tapping "OFF" and "DONE". 5,Turn on the "VPN" switch. If it is displayed that it is connected, the connection is successful.